1. There is no purchase necessary and no obligation in order to participate. Winner receives Breakfast for up to 15 people delivered by the Bojangles catering dept. on Wednesdays. 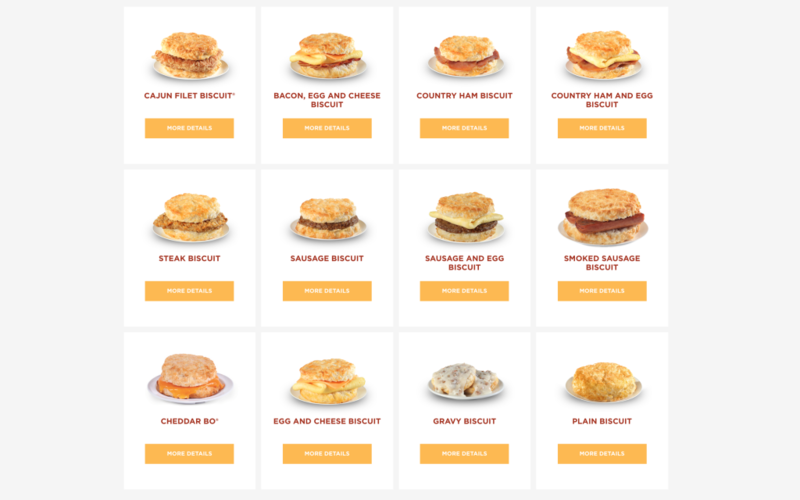 Items are predetermined by Bojangles. Promotional Dates are 4/23 – 6/11. 2. To qualify/Win: Entries will be accepted through Groovy 94.com One registration per person/per email/per day. Duplicate daily registrations will be discarded. 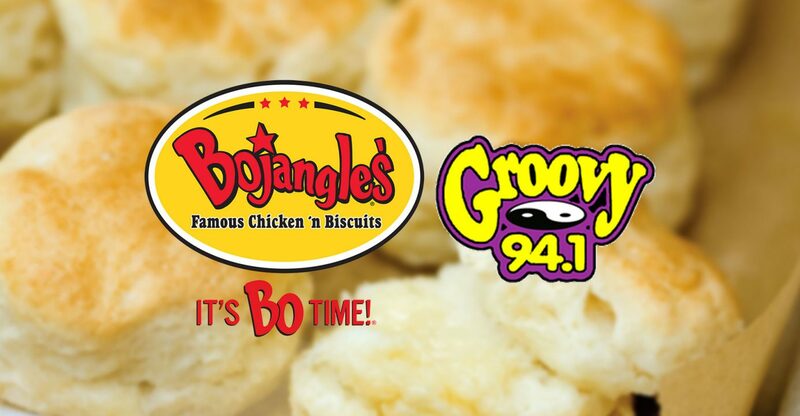 Tell us who you are, where you work, how many co workers, and why you want to be part of the Groovy 94/Bojangles Biscuit Bonanza. Entries must include Address & phone number, and contact name (s) What time do you open, hours of operation for winners business. 3. By entering any contest you acknowledge that, as with any endeavor, there is an inherent risk by participating and you agree to hold forever harmless Southern Communications Corp, its owners, directors and employees as well as its associates, representatives and advertisers from any and all liability, of any kind whatsoever, including injury or death that may occur as of a result of your entering this contest. If you are not in agreement with this provision and are not willing to further attest by signature of your acceptance to these terms please do not enter the contest. 4. Employees of Southern Communications Corporation licensee and their affiliated stations, their immediate families, and persons living in the same household are not eligible to participate. Person(s) working in competing media (newspaper, billboard, direct mail, speciality advertising, and/or television) are not eligible to participate, including employees and immediate family, persons living in the same household are not eligible to participate. 5. Winner fulfillment will be through Bojangles catering. Limited Delivery Area. Summersville, Oak Hill, Fayetteville, and the greater Beckley area. Winners are responsible for any applicable taxes or fees. 6. No prize substitution(s) or transfers of winning to another player will be allowed once the prize has been awarded. 7. One winner per household, per station, every 30 days.